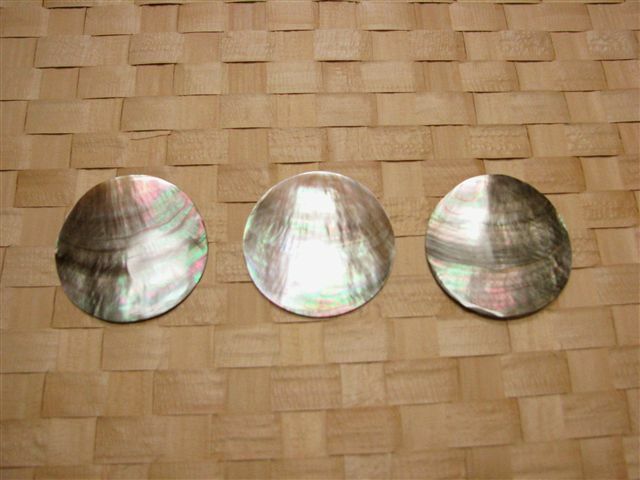 Tahitian Shell Ornaments elegantly cut from mother-of-pearls into circular pieces. Used for Tahitian performance outfits, headpieces, etc. *This item has a total of 3 pieces included. *Please note shells are extremely fragile and will chip/crack easily (shock-absorbent packaging is used when shipped). Due to the nature of the material image may differ from actual product size, shape, coloring.